Hey TBEX! Welcome to TBEX North America 2018 in Finger Lakes Wine Country, NY! All of us in the Finger Lakes are busy planning and preparing for an amazing conference that will blow your socks off. We can’t wait to welcome TBEX to our region—and we hope you’re all excited too! 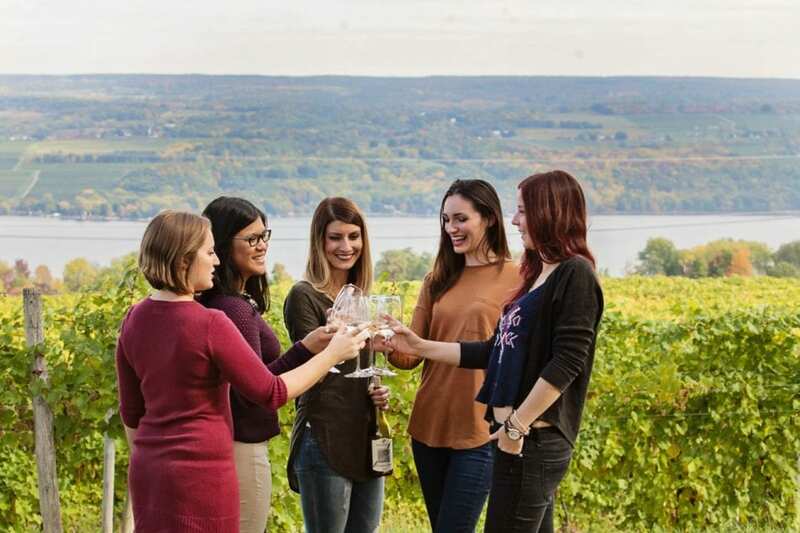 To get you pumped for what’s to come—or if, for some reason, you needed more convincing to register for the conference—here are ­­­5 reasons why you must come visit Finger Lakes Wine Country! With over 130 wineries, plus a few dozen breweries, distilleries, and cideries, Finger Lakes Wine Country is a mecca for craft beverages. 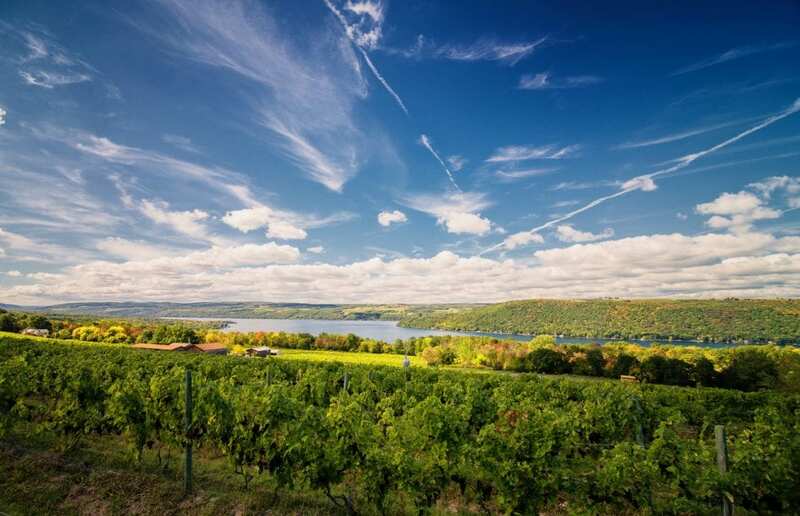 Each spot has its own unique personality, specialty, and scenery, but the Finger Lakes wine industry is best known for its sense of community and its Riesling. The region’s sloped vineyards, deep, glaciated lakes, and varieties of soil create a unique micro-climate that allows production of premium vinifera wine grapes and world-class cool climate wines. While you’re here, check out the beverage trails: Cayuga Lake Wine Trail, America’s first wine trail; Keuka Lake Wine Trail, birthplace of the “Vinifera Revolution;” Seneca Lake Wine Trail, whose wine grapes are all grown on Seneca Lake; and the Craft Your Adventure Southern Finger Lakes Beverage Trail, featuring beer, hard cider, and spirits. TBEX North America 2018 will be the first TBEX conference to take place in a museum. And there couldn’t be a better museum to be the first than The Corning Museum of Glass. While you network and attend sessions, you’ll be surrounded by over 3,500 years of glass history. The Museum cares for and displays the world’s best collection of art and historical glass, ranging from ancient glass pieces to contemporary sculptures. 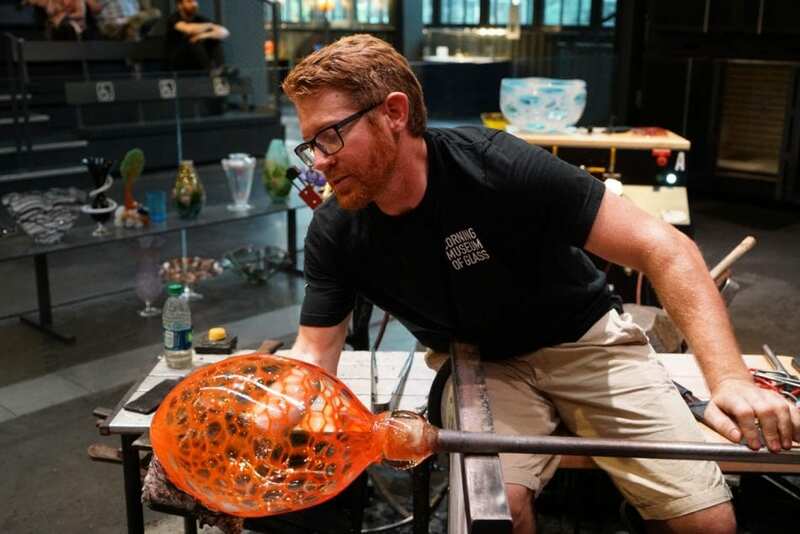 Glass is brought to life at the Museum through educational and hands-on experiences in the Innovation Center, live Hot Glass Demos, and Make Your Own Glass sessions. 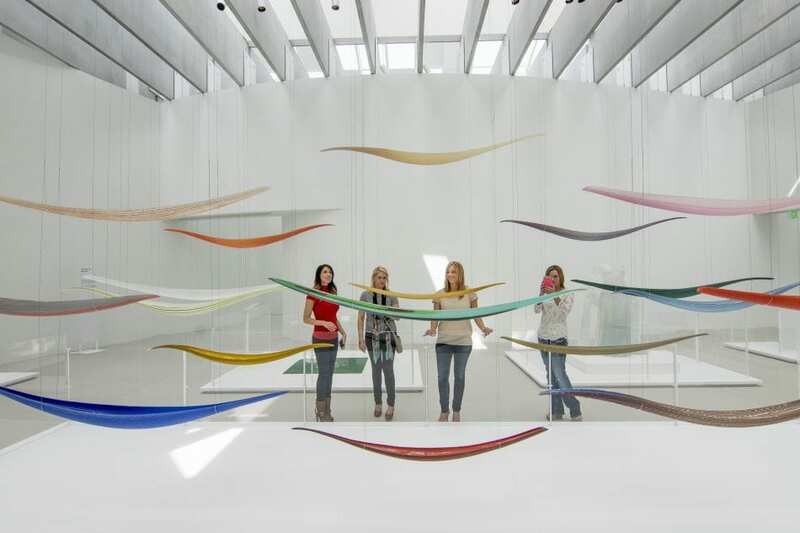 The Contemporary Art + Design Wing (opened in 2015) is the largest space anywhere dedicated to the presentation of contemporary art in glass and contains one of the world’s largest facilities for glassblowing demonstrations and live glass design sessions. The Museum’s Rakow Research Library is the world’s foremost archive and reference collection on the history of glassmaking. And with hundreds of thousands of visitors each year, The Corning Museum of Glass is one of the largest attractions in New York State. While in Corning you’ll be among great minds—the city is home to Corning, Inc., a hub for innovation in technology and science. You may not realize it, but Corning, Inc. products touch your life every day. Their glass technology is used in science and medicine; their ceramic products allow clean air and prevent pollution from vehicles; their optics have allowed advancement in aerospace and defense, astronomy, ophthalmology, and telecommunications; their fiber optics connect businesses, homes, and people around the globe; and their display glass and Gorilla® Glass are used on televisions, computers, and mobile devices—most likely including the one you’re using now. Corning Inc. is also the originator of kitchen essential brands Corelle, Corningware, and Pyrex. The products are now manufactured and sold by World Kitchen, LLC., which also has a manufacturing plant in Corning. 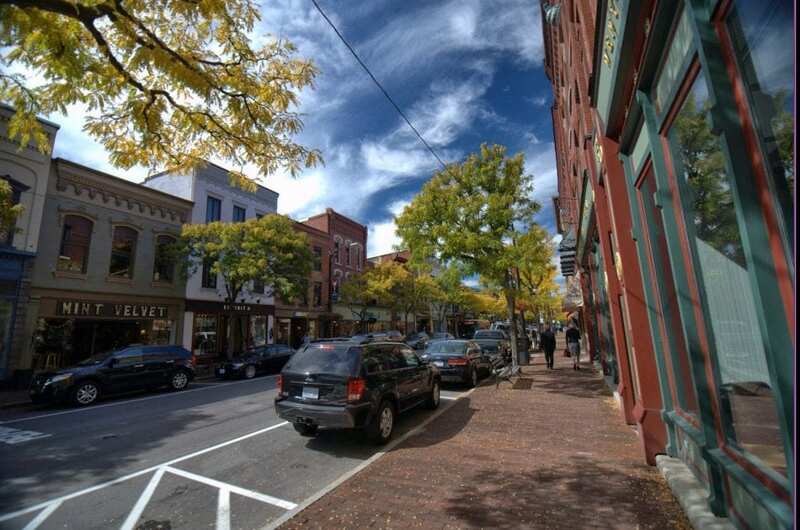 Don’t forget to explore Corning’s historic downtown Gaffer District while you’re here. The area is full of historic architecture, sights, nightlife, shopping, a full schedule of events, and a vibrant cultural and arts scene. The Gaffer District is the perfect place to hang out between conference events and there’s even a free shuttle from The Corning Museum of Glass. The Finger Lakes and Southern Tier of New York are continuing to grow and improve. Our region has recently received numerous investments from New York State to help us keep getting better and better. In 2015 the Finger Lakes and Southern Tier Regional Economic Development Councils received Upstate Revitalization Initiative awards of $500 million each after a competitive process between New York State’s 10 regions. The funds will be used to transform local economies through project-based grants. Similarly, New York State’s Downtown Revitalization Initiative has awarded $10 million each to selected towns within our region. Awards were given to Elmira and Geneva in 2016 and Watkins Glen in 2017. The Elmira-Corning Regional Airport is working on a $58 million renovation project to transform the terminal and visitor experience. The revitalization should be completed just in time for TBEX North America 2018, so look forward to arriving in style at a brand-new facility. 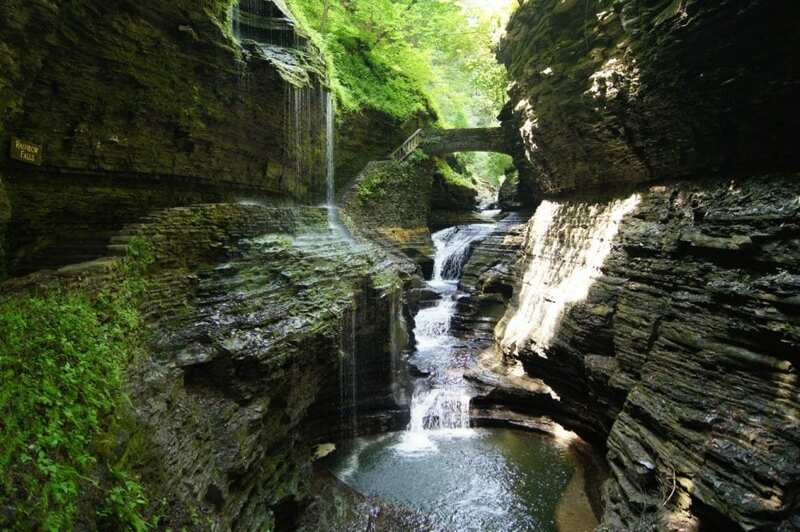 The beloved Watkins Glen State Park—taking visitors through a 400-foot-deep gorge and along 19 waterfalls—is undergoing a $6.5 million facelift, which will be completed by spring 2018. Finger Lakes Wine Country is full of fascinating history and unique attractions—you’ll be surprised at what you find here. 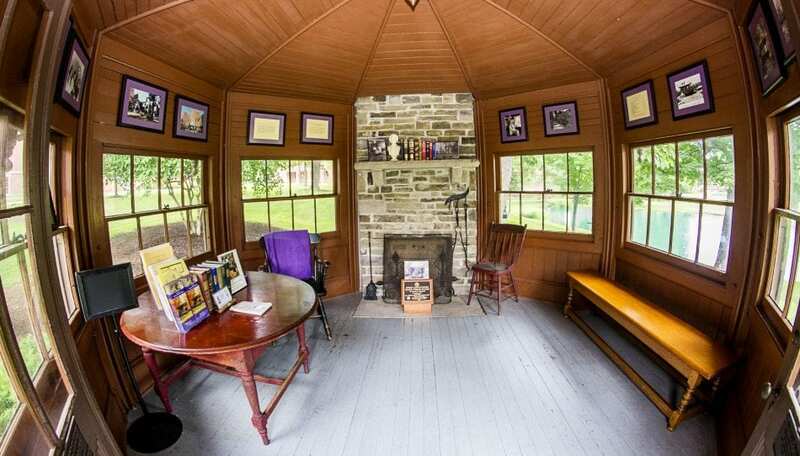 Famous author, Mark Twain, summered in Elmira for more than 20 years and penned his literary classics in his iconic octagonal study, perched above the Chemung River Valley. Twain was laid to rest in Elmira’s Woodlawn Cemetery and his study now sits on the campus of Elmira College. Watkins Glen is the birthplace of American road racing and is home to Watkins Glen International, a road course track where fans can experience NASCAR, IMSA, Ferrari, and US Vintage Grand Prix racing. 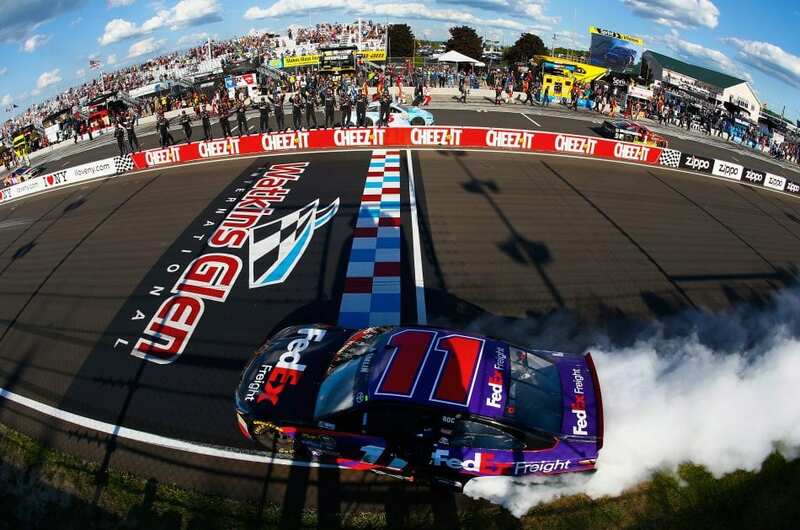 The Glen was voted Best NASCAR Track twice in a row by USA Today readers and will celebrate 70 years in 2018. Situated between Seneca and Cayuga Lakes, the Finger Lakes National Forest is the only national forest in New York State and has over 30 miles of interconnecting trails that traverse gorges, ravines, pastures, and woodlands. There are a ton of other random facts, stories, and locations to discover while you’re in the Finger Lakes, like the world’s largest pancake griddle in Penn Yan, and Watkins Glen’s Farm Sanctuary, one the nation’s three locations caring for more than 500 rescued farm animals. Finger Lakes Wine Country’s breathtaking scenery is super Instagram-worthy. In addition to the knowledge and networking you’ll gain from the conference, the opportunities to fill up your feed and collect content are endless. With our glacially-carved lakes, rolling hills and countrysides, dozens of waterfalls, vineyard-lined landscapes, and perfectly quaint (we’ve been told movie-set-like) downtowns, there is no shortage of beautiful sights. You’ll need to pack extra chargers and memory cards to capture it all! Once you visit Finger Lakes Wine Country, you’ll uncover even more stories and reasons to explore. Share what you find using #myFLXtbex. For more information about the region, visit FingerLakesWineCountry.com.